Holy water (Theertham) : Brahmma theertham, Chandra theertham. Sacred Tree (Sthala Vriksham) : Mullai (Jasmine family). Timings : 08:00 a.m. to 12:30 p.m. and from 04:00 p.m. to 08:00 p.m. This is the 7th sthalam on the northern side of river Cauvery. Saint Tirugnanasambandar has praised the Lord in his Thevaram hymns. 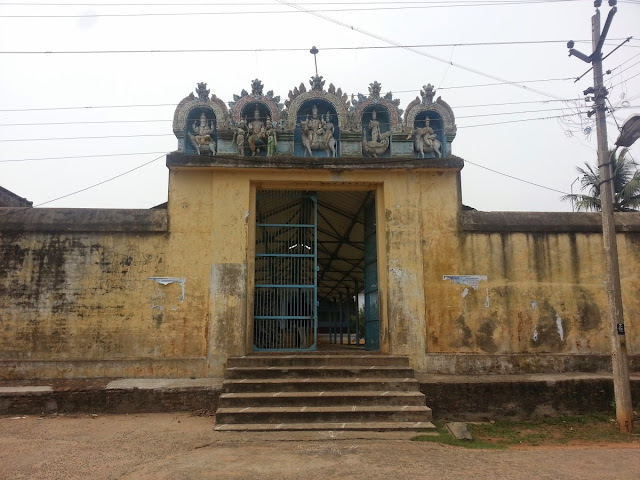 This place is now called as Then Thirumullaivasal, since there is also another padal petra Shiva Sthalam near Chennai with same name and is called as Vada Thirumullaivayil. 3.5 feet tall Lord Shiva in the temple is a swayambumurthi. 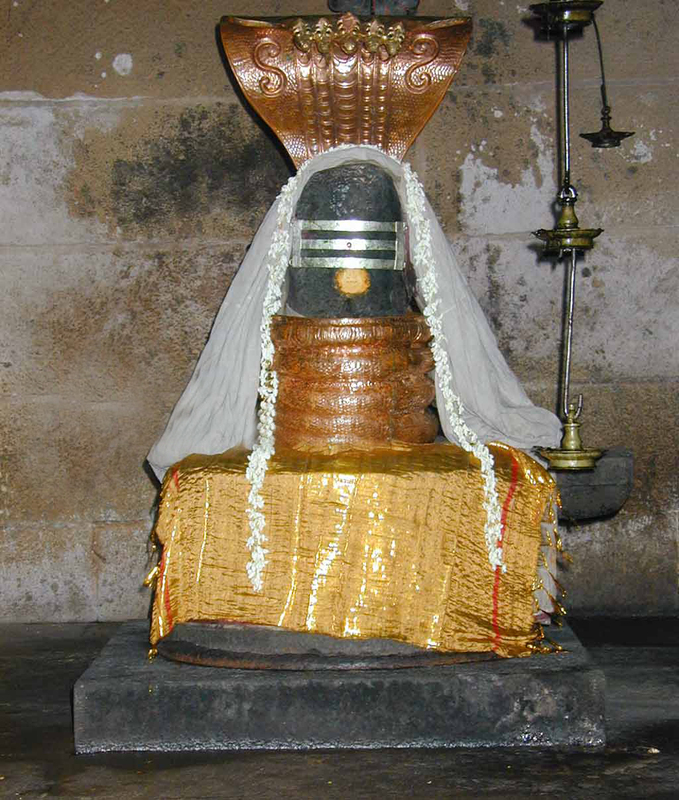 The sword cut scar on the head of the Linga is still visible. Masi Magam Theerthavari festival in February-March is grandly celebrated in the temple. 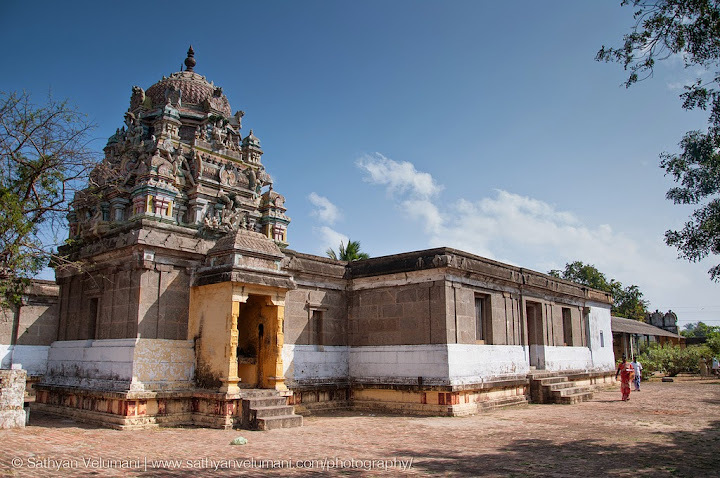 This temple is said to have been worshipped (and built ) by Killivalavan a King of the Sangam period. Inscriptions from the Vijayanagar period and the Maratha period are seen in this temple. 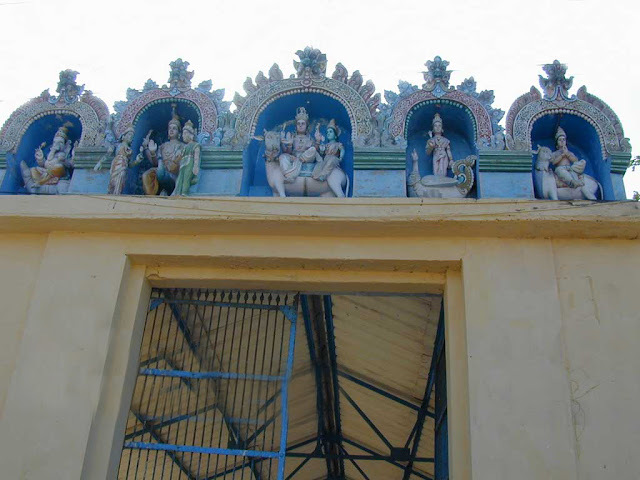 The prakaram houses shrines to Kothaiammai, Vishnu, Lakshmi, Karpaka Vinayakar and other deities. The stala vriksham i.e. the mullai creeper is seen entwined around another tree. The place is now declared as a tourist spot. Sea shore is just half a kilometer from the temple. Palli Arai puja is performed at all Shiva temples both in the morning and night. But the Tirumullaivayil temple has no such Palli Arai. 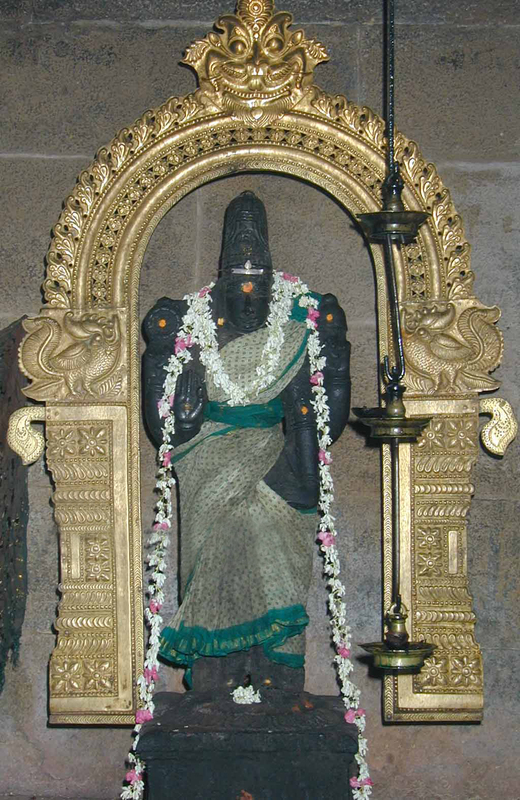 Lord Mullaivana Nathar is 3.5 feet tall big swayambumurthi. He is also praised as Yuthika Parameswarar. 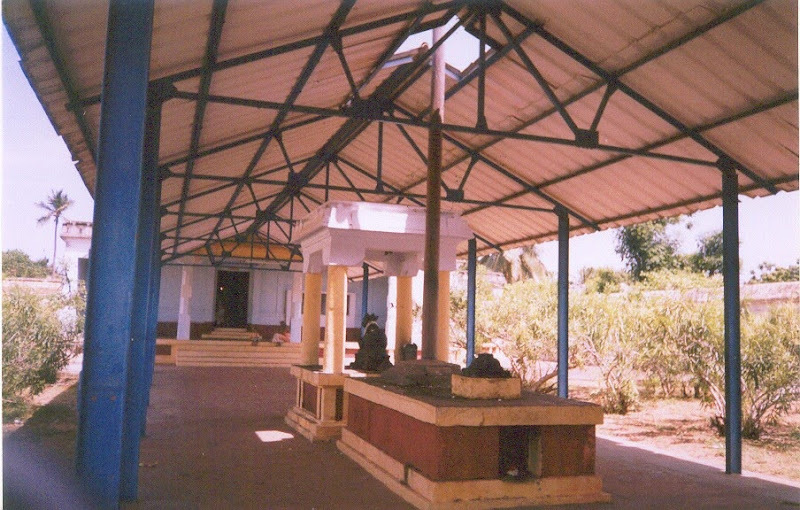 Mother Anikonda Kothai, also praised as Sathyanada Soundari worshipped Lord here to learn the Panchakshara Mantra. Lord is a Guru here, hence there is no Palli Arai and pujas. One Susavi, eledest son of Vamadeva placed his father’s bones after his demise in holy waters. When he put the bones in the waters in this place, they became diamond stones. He immediately performed all the last rites for the father in this place that granted total salvation to the father. It is still believed that Holy Ganga springs here on the northwest direction of the temple. 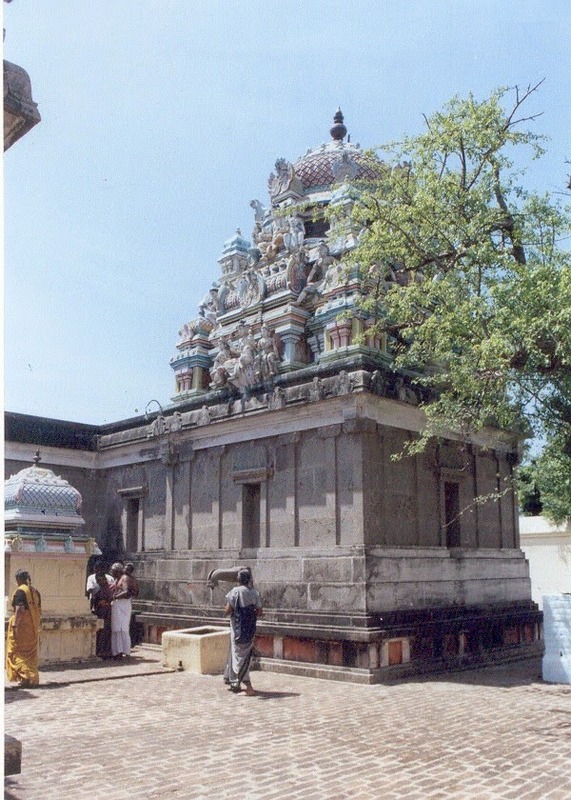 The temple was built 1300 years ago by King Killivalavan. Saint Gnana Sambandar had sung the praise of Lord in his Thevaram hymns. King Killi Valavan, grandfather of Karikal Valavan was suffering from skin problems. Palace doctors advised him that he should have a bath in a reputed Shiva Sthala. He came to this place for a sea bath. The place was dense with Mullai plants which bound the legs of the horses. They could not move further. The king removed the plants with his sword. The sword hit a Shivalinga hidden under the bushes. It began to bleed. The king was shocked and thought he had killed somebody and on cleaning the place, he found the Linga bleeding and attempted to kill himself for the mistake. Lord with Mother Parvathi immediately appeared before him on His Nandhi vehicle and protected Killivalavan. Thus the place came to be known as Tiru Mullai Vayil. The scar on the Linga is still visible. People who chant the Panchakshara-five letter mantra, Na Ma Shi Va Ya in the temple on Solar and Lunar eclipse days and on new days (Amavasya) would not be subjected to next birth, is the belief of the devotees. Location: Located 14 Kms from Sirkazhi. Bus facilities To Tirumallaivayil are available from Sirkazhi. On the way to Tirumullaivayil, one can also visit another paadal petra sivasthalam Tirukkurukavur by taking a branch road at Vadakal village bus stop and travelling for about 1 km. Both Private and Govt town buses available from Seerkazhi town old bus stand.